Cleaning the gutters is important – they should be clear of all leaves and debris before snow and ice begin to accumulate. Without a gutter cover system or a team of professionals to tackle this task for you, your gutters will clog fairly easily. Clear out the snow as it builds up. 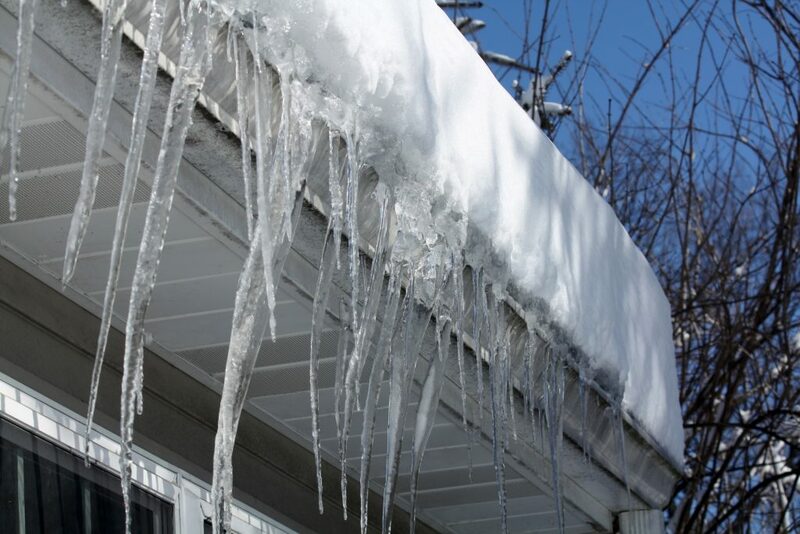 It’s likely for ice dams to occur when blockages in your gutters stop the flow of water to your downspouts. Instead, the water freezes in place. When the water melts, it can still freeze if not cleared away, effecting not only your gutters but your roof too. Home care services can provide you with maintenance programs like ice damming and gutter repair. Ask your local roofing contractor about their home care services and what it includes. Ice damming ensures that snowmelt doesn’t back up and cause a leak in your home. Gutter repairs are essential during winter, as backups can likely occur and cause damage to the exterior of your home. If you’re in Fairfield County CT or the surrounding areas, contact Landmark Exteriors. Whether you need a maintenance plan, ice damming, or just a last minute gutter repair, our team has got you covered! To speak with on one of our professional staff members, give us a call at 203.838.3838.